We warmly welcome Thomas J. Dohmen, who will become Research Director at IZA as of September 1, 2017. Professor Dohmen will retain his chair at the University of Bonn while taking leave to strategically advise IZA and devote more time to his own research. Holger Bonin will continue, also in the function of a Research Director, to coordinate the policy research and advisory activities at IZA, which is headed by Hilmar Schneider. Thomas Dohmen is an internationally renowned scholar in behavioral and organizational economics. 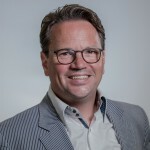 From 2003 to 2007, he was a Senior Research Associate at IZA before serving as Director of the Research Center for Education and Labor Market (ROA) at the University of Maastricht. Since January 2013, he has been a Professor of Applied Microeconomics at the University of Bonn. Dohmen’s new role will also strengthen IZA’s ties with the University of Bonn and create additional opportunities for joint research activities. “Both sides have a lot to offer. Our closer collaboration will clearly be mutually beneficial,” believes Professor Jürgen von Hagen, Vice Dean of the Faculty of Law and Economics and spokesperson of the economists at the University of Bonn.